Thyssenkrupp on Aug. 9 set out operating margin targets for its four divisions for the year ending September 2021. The German industrial conglomerate’s goals include a margin of at least 13 percent for its elevators business, up from 12 percent last year, and a margin of more than 7 percent for its automotive business, up from 5 percent. "The bottom line is, that we are not satisfied with the current results," said Guido Kerkhoff, who was appointed as chief executive officer shortly after the resignation of former CEO Heinrich Hiesinger, who had led the company since 2011. "There's no point in sugar-coating it." The company is now aiming for free cash flow before any disposals or acquisitions of at least 1 billion euros ($1.2 billion) by September 2021, compared with a negative 855 million euros in its last financial year. Corporate costs, which have been a primary source of shareholder criticism, are expected to fall below 400 million euros from 535 million euros last year. 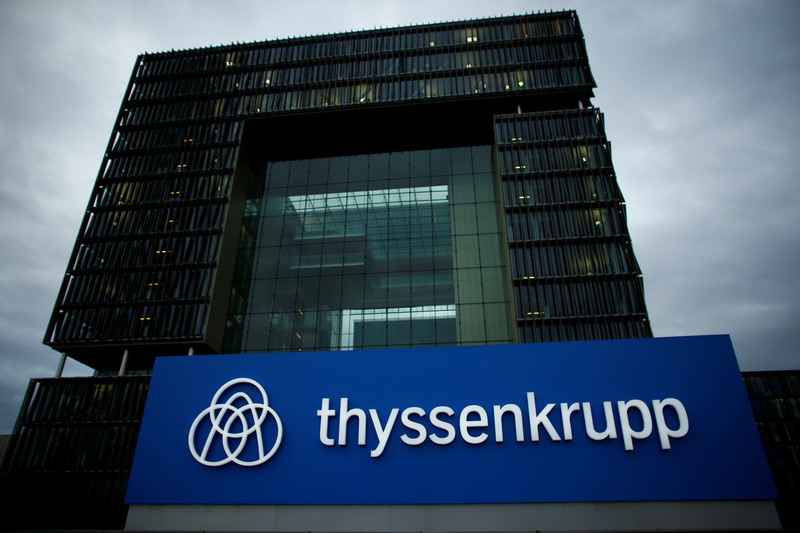 Thyssenkrupp shares were down 0.8 percent to 21.3 euros at 0815 GMT on Aug. 9.